Google's Hummingbird Algorithm: All You Need to Know! Google did a major change into its search algorithm with the Hummingbird update. This update is one of the major updates to happen since 2000 when the first rewrite of the original search algorithm was done by Amit Singhal, senior VP, Google. 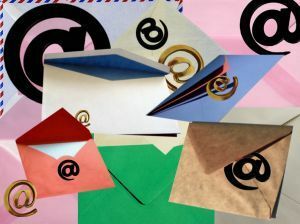 After 2000, many further updates were done, like the Caffeine update for getting faster indexation or the recent Panda and Penguin updates for tackling web spam; but those updates worked on improving the main algorithm that was created in 2000. With the Hummingbird search algorithm update, Google has revised the way it predicts the query and puts into use conversational search, semantic search and natural language processing to return more precise results to the user. 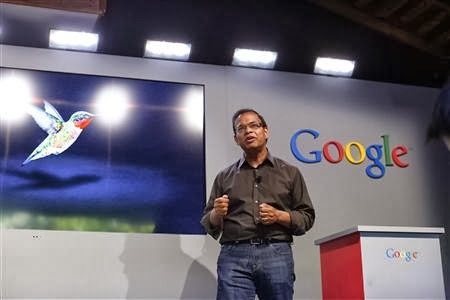 (Amit Singhal, senior vice president of search at Google, introduces the new 'Hummingbird' search algorithm at the garage where the company was founded on Google's 15th anniversary in Menlo Park, California September 26, 2013. Earlier, Google used to pick words from the search query and find out web pages that used those words based on over 200 different signals. But, the Hummingbird search algorithm has provided a fresh new approach to how Google predicts the search query. Google will now predict the context of the search query and try to return more precise results often based on searchers intent, relationship between words, use of pronouns, searchers location, underlying meaning of the words of the search query etc. 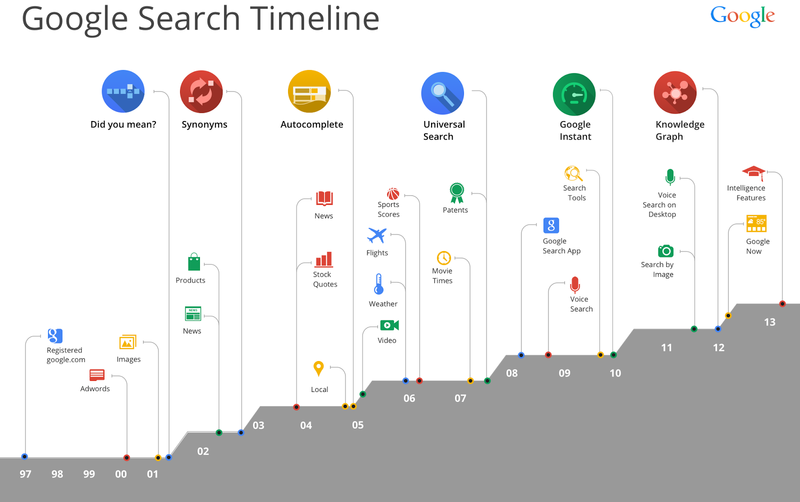 The figure below shows the timeline of Google search. Features like did you mean, synonym search, autocomplete, universal search, Google instant, Knowledge Graph etc have all contributed for a better and a more precise Hummingbird algorithm. Google had launched Knowledge Graph in May 16th, 2012 and expanded it in Oct 19th, 2012. The Knowledge Graph is a basic model working on the concept of semantic search. It helps Google to find the relationships between search entities and categorizes people, places and things for the betterment of the search. For a more deeper understanding of Knowledge Graph, click here. The Hummingbird algorithm will explore the power of relationship between entities for finding out the context of the query. Apart from Knowledge Graph, it will use features and concepts like voice search, natural language processing, Google now, comparisons and filters in Knowledge Graph, comparison tool, Google reminders etc. All the above features and updates will work behind the scenes for Hummingbird update. Why did Google updated to Hummingbird algorithm instead of its old algorithm? Google needs to handle long and complex search queries that demanded precise and accurate results. Due to the amazing capability of Google to return accurate results, users have started to rely more and more on the search engine with the result that longer and complex queries were entered. It is for this reason that Google had replaced the old algorithm and updated to Hummingbird for accurately predicting the users intent behind the query and to present them the closely matching results. When did this update happened? The exact date is not announced but it may have happened around the end of August or the first week of September. This update was announced by Amit Singhal, senior VP Google, on the company's 15th birthday. Amit mentioned about this update at an event hosted in the garage that Larry Page and Sergey Brin (Google founders) had rented to start their own search company which is today known as "Google". What percentage of search queries are affected by this update? It affects nearly 90% of the worldwide searches. It would normally get reflected on long tail queries. What about Penguin and Panda? Penguin and Panda are two of the most successful web spam updates and they will continue to work alongside Hummingbird. How is Hummingbird different from the old algorithm? The old algorithm worked on word by word basis and did not interpreted the combined context of the group of words used in the search query. However, the Hummingbird update finds out the real meaning behind the search query and returns more precise results.
" When it comes to technology behind search, the fact is that computers still don't understand language like you and I do. We at Google had made tremendous advances in understanding language...Knowledge Graph has been foundation into that, the new algorithm that we launched today called Hummingbird has been a great leap forward, but still we are far from human level understanding of language. Still having more computers helps, but its really not the bottleneck that we are facing these days, its all about understanding better what users expect from Google, what they are asking and then fulfilling it via algorithms..."
Google has moved a step forward from being a search engine to a QA engine. A machine that can interact with you in the same manner as you would indulge in conversation with your family or friends. You can ask Google "How old is Justin Bieber?" and Google will return the current age, instead of just returning references to web pages that may contain information related to Justin Biebers age. This is made possible with the help of conversational search (Google also returns Knowledge graph information related to Justin Bieber which means Google is using the Knowledge graph to find out the age related information). You can now directly interact with Google and find direct answers to most of your queries. But still, this works on particularly long tail queries, something that can hint Google that the user is demanding an answer instead of the conventional search results. Semantics is "Science of meaning in languages" and it forms a base of the Google's relevancy factor of the main search algorithm. As SEO's we all know that the main components of search algorithm is divided into 2 parts namely the relevancy factor and the popularity factor. Relevancy is measured taking into account Semantics, NLP, LSI, TF-IDF, QDF etc. and popularity is measured on the basis of backlinks. Semantics forms the base working behind the main relevancy search algorithm. The Knowledge Graph powers the semantic search model for Google. This is one of the important areas which takes into account and makes use of machine translation, sentiment analysis and question answering. 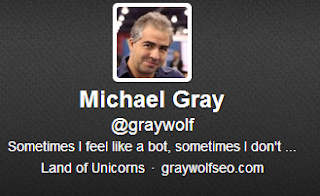 It works on the principle that search engines should process the natural language queries in the same way as humans do. This involves detecting parts of speech within the search query and relationships between them and other wide array of search technologies for better parsing of the main search query. A huge database of objects and their relationships have been covered in what is known as the "Knowledge Graph". This database stores data related to people, places and their relationships. It helps Google to parse the query which includes the name of people and places and helps it to return more precise results. The Knowledge Graph is increasing day by day and by making use of trusted resources like Wikipedia, this huge database of facts is helping Google power today's Hummingbird algorithm. Think of it as your own personal assistant. It helps you to stay connected with your interests and also lets you set reminders or restaurant reservations. This is a great way to judge the fact that Google is going to interact with our lives at a very personal level. Hummingbird is an extension towards this approach, i.e. to specifically cater to your demands instead of showing irrelevant search results that bears no relation with your location or interests. Twitter is a great platform which keeps you in touch with industry experts. Here is a list of top seo people and profiles whom you should follow on Twitter. 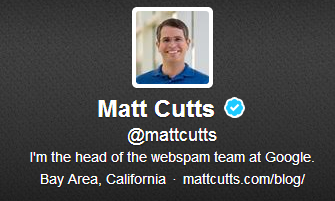 He is the head of the webspam team at Google. 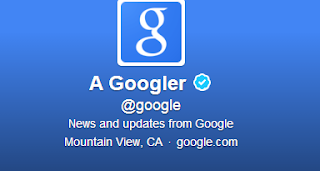 All the latest updates that Google does like Panda, Penguin, EMD etc are tweeted him. The man behind search engine land, considered as the most authoritative source on search. The founder of Moz and the undisputed authority on seo and internet marketing. Stay updated on latest news and stuffs related to the search engine marketing industry by following search engine land. The world's most popular seo+online marketing software. It shares resources for learning inbound marketing. 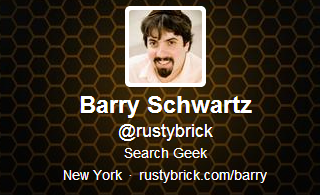 The man behind seroundtabe, which updates the latest stuff and updates related to search engines. One of the well known search engine optimizers. His tutorials and tools are available on seobook.com. Author of web analytics 2.0, Avinash is an expertise in Google Analytics. 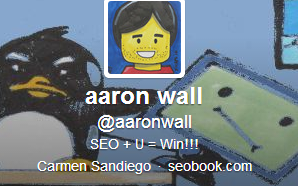 He tweets great stuff related to seo and internet marketing. The father of link building, Eric ward shares exciting stuff related to link building. Latest news and tips from Google Analytics teams and friends. Shares exciting and worth reading updates related to seo and internet marketing. 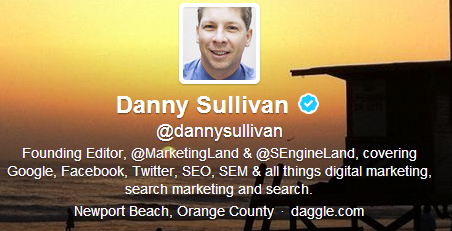 Editor of search engine land. Matt McGee updates us news related to search engines. The patent guru, Bill, is a worth follow on Twitter. 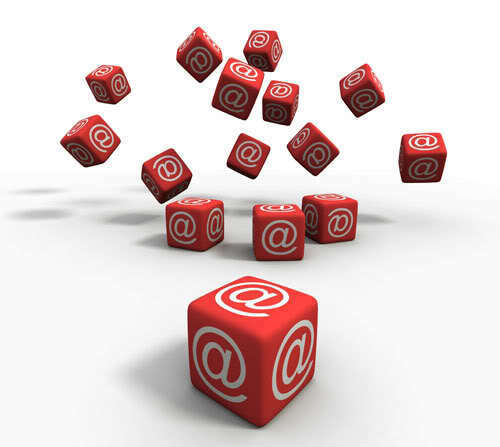 It tweets about the latest updates about your site's visibility on Google. Google Webmasters tool provides options for viewing the search queries that are bringing in traffic to your website. You may see the top pages that are viewed the most by your site visitors and also filter the top search queries as per the your target markets. 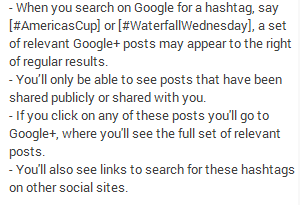 You may find the search queries page listed under search traffic tab after logging in to your webmasters account. This page displays the top queries that people are entering on Google and finding your website. 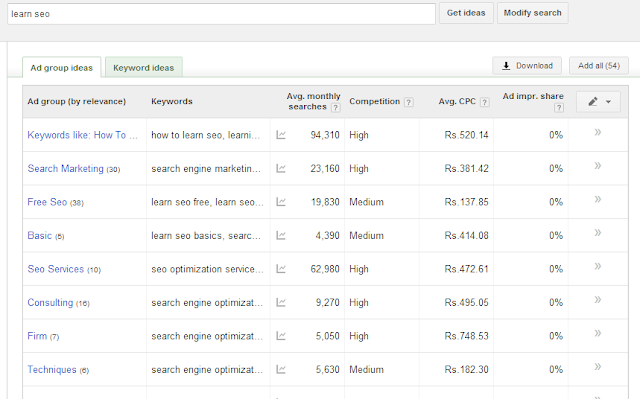 You can see the query, impressions, clicks, CTR and average positions. Query lists the specific user queries for which your site appeared in Google search results. Impressions is the number of times your site was displayed in the search results. Clicks shows the number of times users clicked on your site listing. CTR shows the value returned after comparing the actual CTR with to the previous period. Avg position indicates the difference between the average top position compared to the previous period. Search - This option allows you to filter queries on the basis of image search, mobile search, video search and web search. Location - This option allows you to filter queries on the basis of user location. Traffic - This options allows you to filter queries having impressions fewer than 10 or more than 10. Clicking on the top pages option from the search queries page displays the top pages on your website that has achieved the maximum number of impressions and clicks. This data also displays four different columns of impressions, clicks, CTR and avg position. 1- Locate the top pages on your site that are getting the maximum impressions and clicks. Check on what changes you did recently on those pages and use them as a base to improve the performance of the other pages on your site. 2- Identify the pages whose clicks are on decline and try to fix the issues. Many times, only simple tweaks can help in getting the lost traffic. 3- Identify pages that are getting the maximum impressions but no clicks and fix those in order to start generating more clicks. This process requires proper analysis but once done properly can result in massive improvement of traffic because your site is already getting an impression for the keyword. 4- Find out the percentage of mobile vs web users and try to optimize your content accordingly. 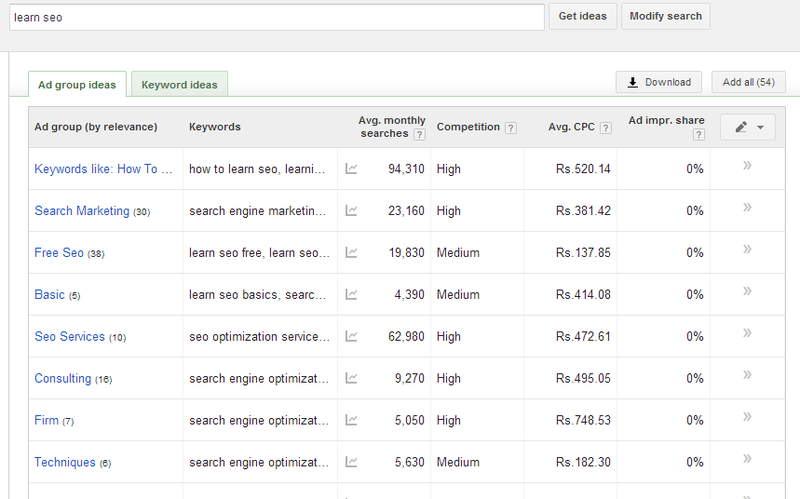 5- Find out the top queries that are generating more than 10 clicks by applying proper filters. 6- Identify queries where your site is close to making on the top 10 positions and try to optimize those queries. Less effort will provide more results if you constantly monitor the search query page offered under GWT. 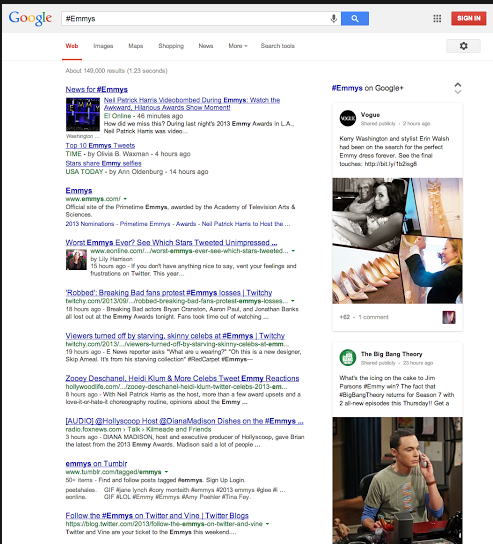 Google Testing Author Information Links in Search Results? Today, I noticed that Google is secretly testing the links present in the Google Authorship that is being displayed in the search results. Whenever we clicked on the author name displayed at the side of the author pic, we used to navigate to a search result page that showed all the pages along with the searched keywords that are authored by that author. 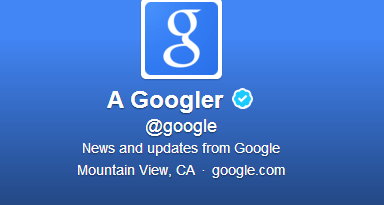 I noticed during the testing phase that Google provided a link to the Google+ profile page when I clicked on the author pic or on the author name. This continued for a few hours, then slowly the testing phase was over. Did you noticed the same? Let me know in your comments. 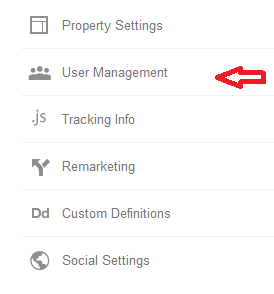 With the latest updates in the user settings and access controls, there are 4 different kinds of user permissions that you can set for specific users in Google Analytics. Users in GA can have any one or all of the below mentioned permissions. In other words, these can be used individually or in combination. Manage Users- Allows to add/remove and set permissions. Does not includes edit or collaborate, means you may or may not set permissions for edit/collaborate along with manager users. Edit - Allows to perform all types of editing functions in reporting. 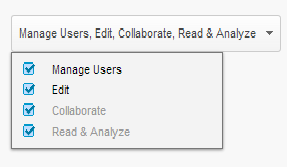 Includes collaborate, means collaborate is included with edit option by default. Collaborate - Allows to create personal assets and share them. Read and analyze is included with this permission by default. Read and Analyze - Allows to read and manipulate already available data. It can be used as a single permission. Of all of these 4 permissions, only Manager Users and Read and Analyze can be set as an individual permission.